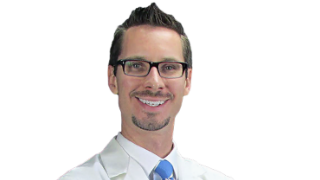 Dr Scot Gray is the owner and director of The Marion Integrated Health Center in Marion, Ohio. He has been featured on NBC, ABC, Lifetime Television, and several other programs for his expertise in eliminating back pain, neck pain, and headaches. He is the Author of GOOD BACK, BAD BACK: The 10 Things Women Must Know To Eliminate Pain and Look and Feel Younger. Dr.Gray is focused on delivering the highest quality of back and neck pain relief with the latest technology available including Stem Cell Therapy and Neurostimulation. His main focus is on severe neck and back pain cases such as degenerative discs and herniated discs.